With every passing year, cars get more and more advanced. Engineers are constantly working to improve them. In recent years, cars have advanced by a spectacular amount. But for advancements to happen, there has to be some stumbling along the way. One of the most common issues seen with brand-new cars are electrical or technical repairs. Built-in features, such as Bluetooth, voice recognition, and other features garner the most issues. Sometimes they just don’t work, or don’t live up to customer expectations. One example of this issue was Ford’s recent change from Microsoft to Blackberry for their infotainment system. The previous system, known as “MyFord Touch”, started as a technological leap in the infotainment system market. However, it eventually showed its age. The system eventually lost its appreciation from customers, leading to a significant drop in satisfaction. MyTouch was not user-friendly, and was difficult to work with. Ford’s standing plummeted from 5th in the world to 23rd between 2010 and 2011 due to the MyTouch system. Ford dropped MyTouch for a new system from Blackberry, known as “Sync 3.” Sync 3 had a much higher customer satisfaction ratio, and was implemented in all Ford vehicles by the end of 2016. A lot of car manufacturers have started adopting the keyless ignition – a simple button which, when pressed, starts the engine (the button will only start the engine if it detects the owner of the car, via a “key” sensor, is nearby). It seems neat, but the keyless ignitions tend to prematurely drain car batteries if the “keys” are kept too close to the vehicle. The system can also lock drivers out of their cars while the car is still running. AAA assisted more than four million drivers locked out of their vehicles in 2015. Infotainment technology isn’t the only type of tech that’s been evolving, either; the sensors in cars are more advanced now than ever before. This includes tire pressure sensors, engine sensors, even omni-directional parking assist systems. Fuel gauges aren’t void from this, either – they can show specifically how much fuel your car has, and how far it can go before it needs refueling. But, according to AAA, drivers are pushing these to the limit, leading to more and more drivers running out of gas on the road. Technical problems aren’t the only ones that are cropping up with the newest generation of cars, though. In more weather-affected parts of the country – particularly the more cold and hot areas – can affect cars. Newer cars’ ventilation and heating systems give out easier in these more temperate areas, and paint and even molding can become frayed or warped. Automakers are also getting rid of the spare tire. Spare tires put extra weight on the vehicle, decreasing gas mileage. The companies have been replacing spare tires with inflator kits, which can be used to simply re-inflate the flat tire, rather than replacing it with a spare. AAA has reported that more than 29 million vehicles in the last 10 years have had their spare tires replaced with an inflator kit. An inflator kit might be better than a heavy, extra spare tire, but if a tire blows out, the kit is useless. More and more reports come in every year about problems with cars in Scottsdale. Part of the issue is the increasing number of people and vehicles every year. Another cause, however, is that car manufacturers are pushing the bounds of technological limits even more every year. This act of pushing the limits has been leading to drawbacks and complications in vehicle quality. The car manufacturing world has hit a learning curve. In 2015, AAA had to rescue an outstanding 32 million drivers from off the road. That’s the most that AAA’s ever rescued in one year. AAA reported that most of the vehicles causing drivers problems were less than five years old. Modern cars are supposed to be more advanced, but are causing more problems than older cars. Cars are becoming so advanced and sophisticated now, that 1/5 of all service calls for newer vehicles in 2015 required a tow to a repair facility. 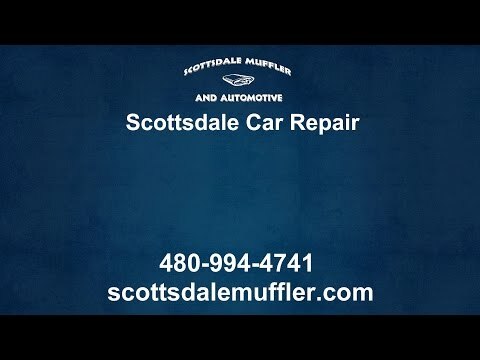 This is due to newer cars being so complex that they need a Scottsdale mechanic to repair them. The more advanced cars get, the more problems they can have, and the harder they get to fix.